NEW YORK: Coca-Cola has defended US poster ads for Diet Coke featuring typography that appears to endorse cocaine use with the slogan, "You're on. Coke." 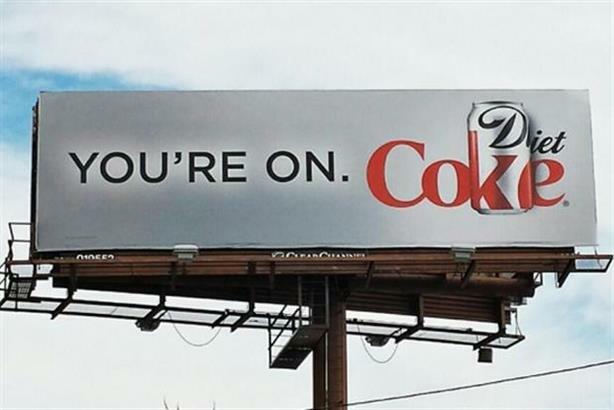 The issue lies with the billboard layout of the words "you're on" and "Coke," which appear to make a single statement. The word "Diet" is also obscured on the billboard, which was devised by agency Droga5, thanks to smaller lettering and raised typography. A bus-shelter version of the ad features preamble copy that to the cynical eye could be construed to reinforce the ad's unintended message. It reads, "You move to New York, with the clothes on your back, the cash in your pocket, and your eyes on the prize. You're on. Coke." The campaign has sparked debate in the trade and consumer press and on social media including Twitter, with a selection of tweets compiled by the blog Gothamist. Coca-Cola has told media outlets in a statement that the effort celebrates ambitious young people but does not endorse or support illegal drug use.